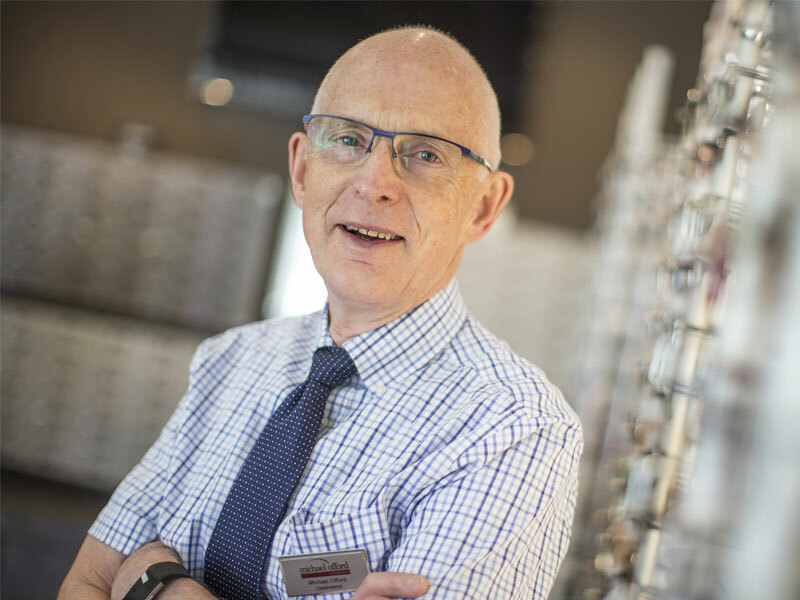 Michael Offord Optometrist has provided eyecare in Kingston Park since 1981. During this time, he has always strived to provide excellent service to his patients.Michael is totally committed to giving every patient superb eye care, and is keen to ensure his practice is fitted with the latest technology to enable this. Continuing education and personal development is important to Michael, and he feels it is essential to pursue this goal, and therefore regularly attends conferences and courses. This enables him to keep updated with the latest techniques, and ideas on eye conditions and appliances. He has been awarded a Masters degree in Clinical Optometry, having a special interest in nutrition and the eye, he has a qualification in Independent Prescribing status, which permits him to prescribe medication for any eye condition, and in July 2013 he was awarded the College of Optometrists Professional Certificate in Glaucoma. 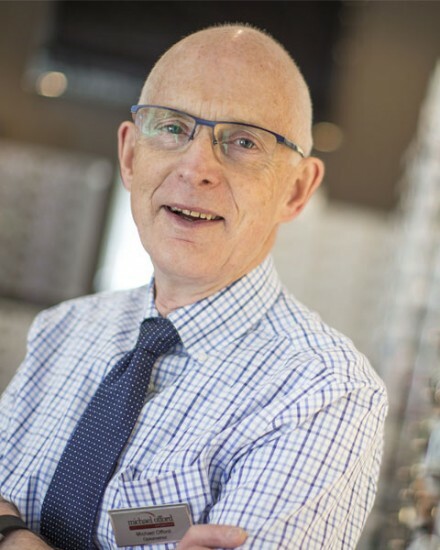 Michael spends one day a week working in the eye department of the RVI hospital, Newcastle, thereby forming a good working relationship with the local eye specialists, this experience makes a valuable contribution to the practice in Kingston Park. Michael Offord is dedicated to supporting those in the community he serves; this can be in the form of sponsorship, or simply encouragement. He has a long standing desire to help those less fortunate, and travels abroad annually with Vision Aid Overseas to examine eyes and give out recycled spectacles to those in need. Away from the practice he enjoys all forms of sport, travels widely and occasionally finds time to read.